The greatest thinker the world has ever seen … has never seen this blog. It's just me and the things I think about. Don’t you just love going to a Christmas concert and coming home with a present? Wait. That didn’t happen to you? It happened to me. A dear friend who knows about my Christmas sock obsession gave me a gift of adorable snowman knee highs at the concert. 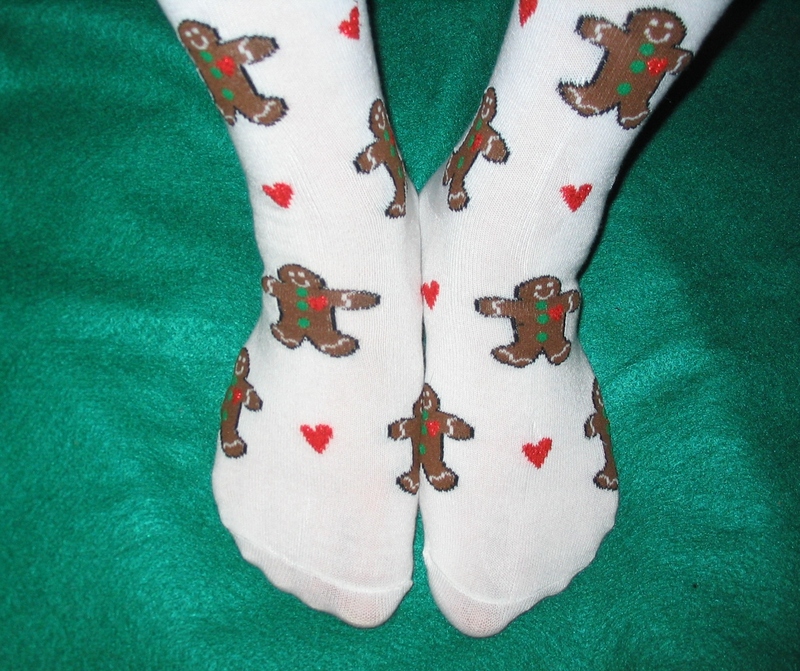 I didn’t expect it, which is why I’m writing about them, even though I’m wearing gingerbread man socks. I was going to write about love at Christmas since my current socks have red hearts on them, but I changed my mind when I received my gift. It was unexpected, and it caused me to change direction. Surprises will do that. At the concert, we heard just about every Christmas song, secular and religious, that there is to hear. It was wonderful, yet, the song that’s echoing through my head is “Come, Thou Long-Expected Jesus,” thanks to my surprise gift. The irony is that Jesus was surprising in many ways, but never a surprise. The prophets told us long ago that our Special Gift was coming. He came and changed the direction of the world. As expected. I guess this is about love after all. Spider vs. Broom: Broom For the Win!